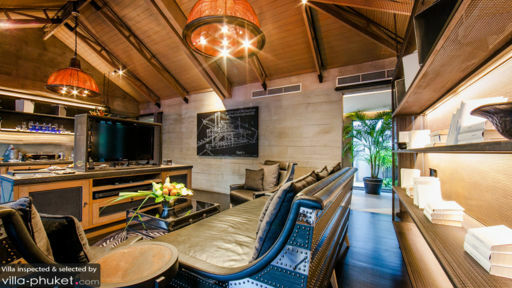 An unforgettable vacation begins at The Slate Phuket, a luxury resort located in North Phuket. You’ll feel as if you stepped into a tropical haven, thanks to the resort’s lush surroundings and tranquil ambience. Combining industrial tin-mining elements with modern decor, The Slate offers a fantasy-like setting that retells the island’s tin-mining history. A thoughtfully appointed bedroom featuring a plush king bed, quality linen, armchairs, writing desk and walk in wardrobe facilitates uninterrupted rest. The spacious en suite bathroom is kitted out with twin vanities, a shower recess and toilet. Bathrobes, slippers and sandals are provided. 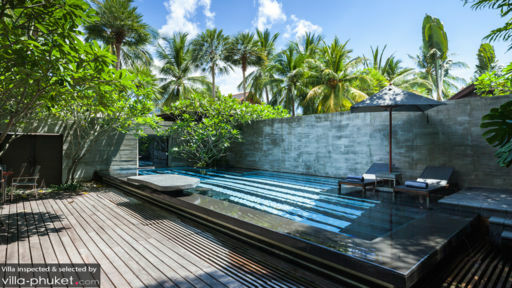 Step out to a private sun-soaked compound with a lap pool, recliners, sun umbrellas and massage beds. It’s the perfect spot to bask in the warm, breezy island vibes, unwind with a cocktail or enjoy an in-villa dining experience under the stars. The living spaces are light-filled and stylish, with a fully equipped kitchen and homey lounge area. There’s complimentary Wi-Fi, TV set with Blu-ray player and Bose CD player and dock. The Slate stands out with its impeccable service and hospitality. There’s butler service round-the-clock to take care of your every need, which may range from engaging professional child minders or organising an in-villa dining experience, to vehicle rental, restaurant bookings, enjoying in-villa pilates sessions and more. Your villa comes equipped with a fully stocked mini-bar, coffee and tea-making facilities, daily fruit bowl, daily turn down cookies and custom bath amenities. You’ll be residing in Nai Yang, North Phuket. The area is free of the busy tourist crowds in western part of the island, and exudes a laid back, restful vibe. It’s a great option for family vacationers and holidaymakers seeking a relaxing getaway. The nearest beaches are Nai Yang Beach and Mai Khao Beach. The former is clean and quiet, and located just two minutes’ drive from your villa. Mai Khao Beach is about 20 minutes’ drive away, and is part of the Sirinat National Park, a conservation site known for its stunning white sand beaches, verdant landscape and wildlife. Located around the vicinity are cultural attractions, nature sites, luxury spa parlours, yoga studios and more. Take in the beautiful setting and peaceful ambience of Wat Phra Thong, a temple compound situated about 15 minutes’ drive away. Stretch it out on the mat at Baan Yoga Phuket, a studio offering a variety of yoga and meditation classes. 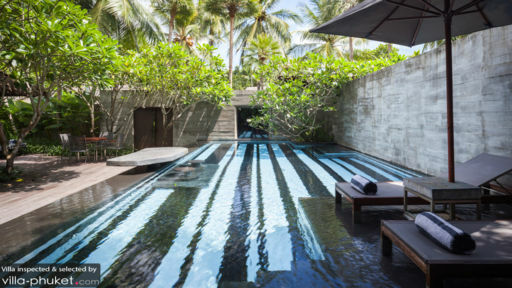 Both the Dhatri Spa at Pullman Phuket Arcadia and Jara Spa at Trisara offer excellent spa treatments. Families will enjoy spending the day at Anthem Wakepark, a wakeboarding facility or Flying Hanuman, a popular attraction with multiple zipline courses and sky bridges. A visit to the Elephant Jungle Sanctuary is a great experience; unlike many other facilities in the region, the rescue center provides the animals here with excellent veterinary care and infrastructure. With numerous in-house restaurants and bars, you won’t have to take a drive out to enjoy top-notch dining experiences. Savour Thai cuisine at the atmospheric Black Ginger, tuck into Japanese dishes at Rivet, sample succulent steaks and grilled fare at Tin Mine and sip a nightcap at Tongkah Tin Syndicate.